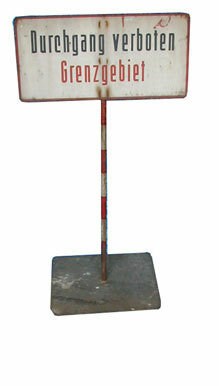 This collection includes street, public transportation and advertisement signs and logos. 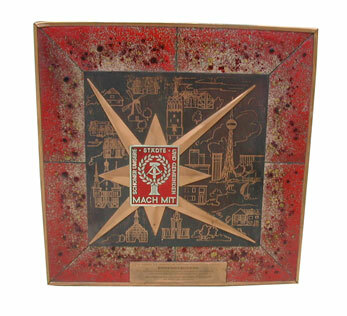 They are made from various materials, ranging from iron and steel to wood and plastic. 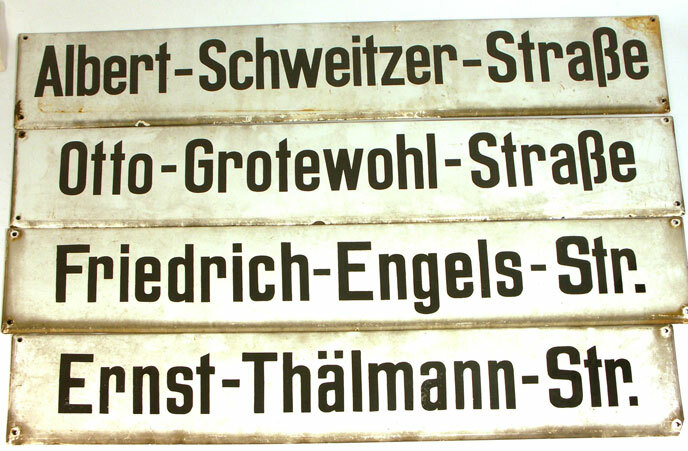 Street and public transport signs document the renaming of public places after German reunification. Political figures and once prominent cultural figures such as Bertolt Brecht, Lea Grundig and Johannes R. Becher were singled out for replacement. A majority of the Museum’s public transportation signs come from the Berliner Verkehrsgesellschaft (Berlin Transportation Association, BVG).